Nanbara (ZAT officer number 2*): It's all right. Let's leave the rest to (Ultraman) Taro. Aragaki (ZAT vice-captain): Yes, let's. (*Well, I'm only guessing about his number, based on how he's normally credited in the opening sequence (his name appears right after Kitajima, whose name appears right after the vice-captain's -- though for some odd reason this episode's OP credits Nanbara before Kitajima). Ah, not very related to (and takes more space than) the rest of this entry, but I am cautiously excited for the new Ultraman (mini) TV series (starring Ultraman Ginga) coming out in July. There seem to be eleven episodes plus two special episodes planned (hopefully there is more than one season). A bit disappointed that the days of traditional Ultra series seem to be firmly in the past now (Ultraman Mebius is probably the last of such series), but I'll give the new series a chance, of course. From a brief description, this new series seems to be about a group of high school students (two girls, two guys, one rival) which reminds me a little of Kamen Rider Fourze. And the bit about 'Ultramen & monsters as dolls, which the hero can turn into' very much reminds me (and apparently everyone else) of Gokaiger and Kamen Rider Decade. Anyway, still not sure if this new series is a part of Ultraman Retsuden like Ultra Zero Fight (none of which I've yet seen, so don't know much about), but I think I won't worry about it anymore until I get to watch the series for myself. 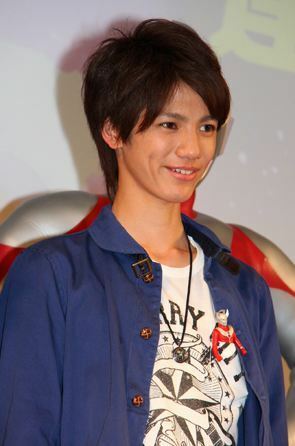 Well, with Ultraman Ginga around, at least Ultraman Taro will not be lonely as the only Japanese-named Ultraman anymore. (EDIT on 20 April 2013: I now remember that Ultraman Hikari is another Japanese-named Ultraman. Sorry, Hikari. ^^;;) (And I can't help smiling when I see a Taro doll in the protagonist's shirt pocket. He's the first Ultra doll found, I suppose.) I kinda prefer his name in English, though, but since there is already a series named Ultra Galaxy, I guess calling him "Ultraman Galaxy" is probably not an option. I actually don't know what to think about the capsule dolls. But since there are cards in Ultra Galaxy already, putting monsters (and Ultramen) into dolls seem like the next logical step. (And Marquette Monsters have been around since UltraSeven, I believe.) Oh well, at least I'm not against the idea. (I love the Mebius episode (ep 27) in virtual world, after all.) I might be bothered later on by the fact that the Ultra I see isn't really that Ultra, but just Ultraman Ginga using that Ultra's appearance (and abilities) but for now I am okay with it. Just so I don't set myself up for disappointment, I wouldn't even dare to hope for cameos from the human forms of past Ultra heroes. Speaking of human form, the lead actor, Takuya Negishi, is a member of D2, a Watanabe Entertainment group similar to D-BOYS (the two groups clearly have some relation). I'm not familiar with D2, but I've seen a few members in other toku, and while not too impressed (except with Enter from Go-Busters), I can't find anything to complain about either, so I'm hopeful. Besides, I hardly ever see anyone who can't act in the Ultra franchise. Not much to say without seeing the series for myself, but since I haven't really been let down by recent stuff, I remain cautiously optimistic that whoever owns Tsuburaya now would not mess this up.